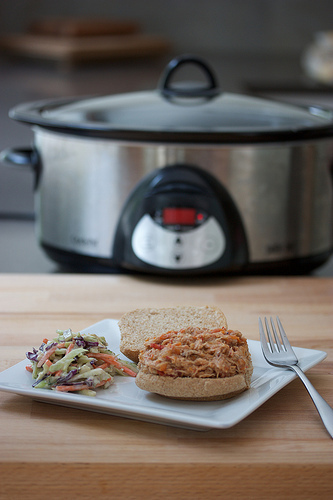 There are times we feel that the crockpot or slow cooker is the savior of our sanity. A few minutes of prep and voila, dinner is (almost) on the table. We’ve rounded up some of our Pinterest favorites so that you too can serve easy and delicious meals at home this week. 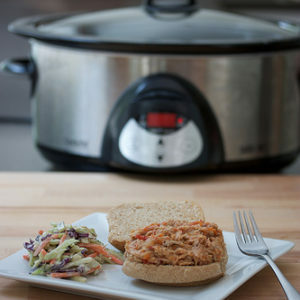 Tip: purchase a slow cooker with the capability to saute or boil right in the pan – it saves time and cleanup, and almost all meat will look (and taste!) better when it has been browned or seared before cooking. We use a Cuisinart Multi-Cooker, but there are many great options on the market. 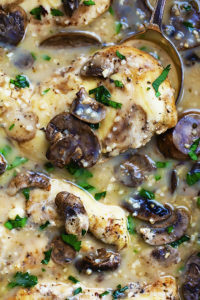 Chicken Marsala. 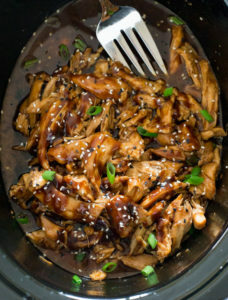 This creamy mushroom sauce is incredibly decadent and easy to make in the slow cooker. Green Chile Chicken Enchilada Soup. This cheesy, hearty soup fills our Mexican cravings. Thai Peanut Chicken. Fill your peanut butter cravings with this addictive pulled chicken. Use leftovers on a homemade pizza crust the next day – it’s one of our all-time faves. 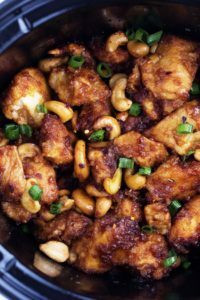 Cashew Chicken. It tastes like takeout, but it so much easier (and healthier!). Add cashews at the very end so they keep their crunch. Honey Garlic Chicken has a sweet taste that doesn’t overpower. It’s perfect over warm white rice. Beef Bourguignon is even more delicious when made to simmer all day. 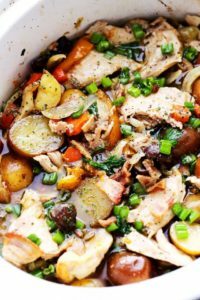 Coq au Vin builds flavor and offers a hearty mix of vegetables when made in the slow cooker. Pho is one of our all-time favorite comfort foods. 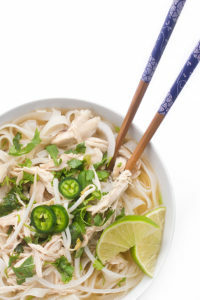 This noodle soup is easily made in the slow cooker. This recipe uses chicken, but you can sub pork or beef as you desire. Don’t forget the siracha on the side. 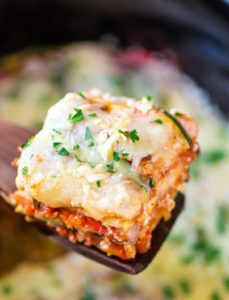 Lasagna goes healthy when you sub zucchini for noodles in this slow cooker version. 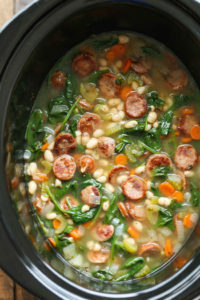 Sausage, spinach and white bean soup is hearty and can be easily used for lunches as well as dinner. 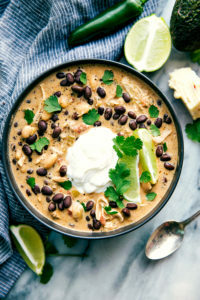 Cream Cheese Chicken Chili is a staple in our house. It’s easy, filling, and homemade deliciousness. Featured image (top) courtesy of Flickr user Meal Makeover Moms.